Dementia, Delirium, and Alzheimer’s Disease. Home | Dementia, Delirium, and Alzheimer’s Disease. Understanding the differences between these terms can be considered a first step in understanding what may be going on with you, a family member, a friend, or colleague. Dementia is often incorrectly used as an interchangeable term for Alzheimer’s disease. Dementia is a generic term, rather like saying “car” or “fever.” What type of car? Why is there a fever? Dementia in simplest terms is a term used for a group of approximately 130 or more (some sources say 200) cognitive disorders. Those disorders can result in problems with: memory, judgment, using and understanding the language, problems and deficiencies in motor activity, and problems with recognizing objects and people. It can also include difficulty with executive function which is the ability to plan, organize and think in the abstract. These disorders are a result of the death of neurons (brain cells) or permanent damage to the neurons. Dementia is generally of a gradual onset. Unless the dementia is one of the types that can be reversed (approximately 30 types can be) dementia is a progressive illness that, at this time has no known cure. There are treatments available to alleviate some of the symptoms for a certain time period, such as behavioral therapies, and medications. Alzheimer’s disease (AD) is the most common form of dementia. Delirium, on the other hand follows a time pattern with an abrupt onset, and of a short duration. A key difference between delirium and dementia and Alzheimer’s Disease is that it is a temporary event that can result in confusion, disorientation, changing levels of consciousness, hallucinations, delusions, anxiety, jerky movements, disturbed sleep cycles, memory impairment, periodic agitated behavior, mood changes, altered speech, and changes in blood pressure and pulse. 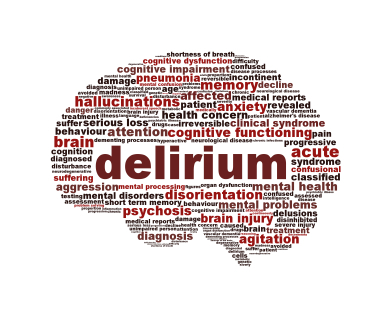 Delirium is quite common among the elderly who have been diagnosed with dementia. However, it often goes unrecognized. Delirium is caused by an underlying medical problem (such seemingly simple things as a bladder infection or constipation can precipitate a bout of dementia) drug toxicity (caused by taking medications improperly, incorrect dosage, incorrect medication, anesthesia, among other drug factors) and environmental factors (such as sensory overload, too much noise, sensory deprivation often stemming from isolation, and impaired hearing). Once the underlying cause of the delirium is treated the symptoms subside and the person returns to previous levels of functioning. 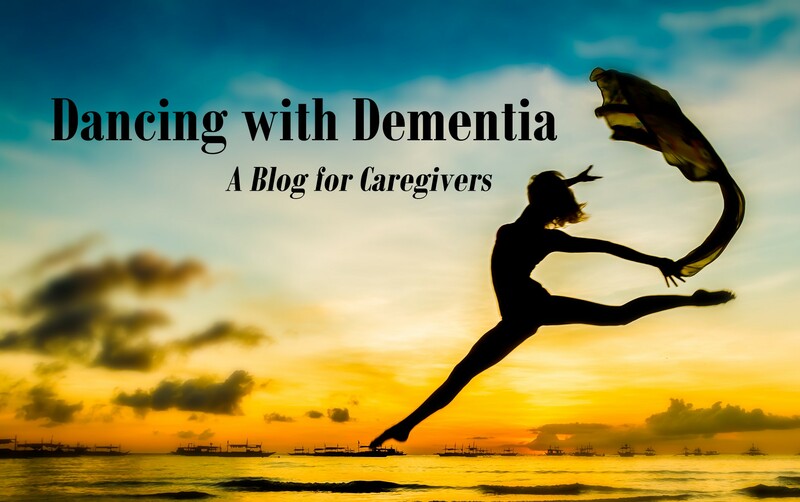 Unlike dementia, delirium does not involve structural changes to the brain. However, if dementia is left untreated the symptoms canworsen and death can result. Alzheimer’s disease, as stated above is the most common form of dementia. It is directly associated with aging, meaning as one ages, the risk of developing this illness increases. At this time, three distinct forms of AD can be categorized. Classic Onset AD is characterized by the individual gradually developing the signs and symptoms of the disease over the course of what can be many years. Early Onset AD is the diagnosis given when the individual begins to experience symptoms at or prior to 65 years of age. Often, this is a faster moving form of the illness, marked by greater severity of symptoms. Late Onset AD is diagnosed when the onset of symptoms begins at 85 or older. The course of the illness can sometimes be less severe, than in the other two forms. Depression, a treatable and curable illness often accompanies AD, and left untreated will complicate the illness and interfere many other aspects of life. Obtaining an accurate diagnosis is critical to understanding the prognosis, obtaining treatment and planning for the future. Donate to the Alzheimer’s & Dementia Resource Center online using your credit card. These payments are processed by PayPal, a secure payment method frequently used for transactions on the Internet. Copyright © Alzheimer's & Dementia Resource Center - Site By Orange Studios.